Do you have what it takes to open your own office? Is this type of practice moral and ethical? How to set up your office. 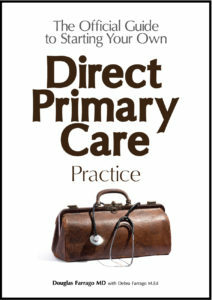 How to market your new DPC practice. How to create word of mouth. How to use Facebook to drive new patient interest. How to deal with difficult patients. 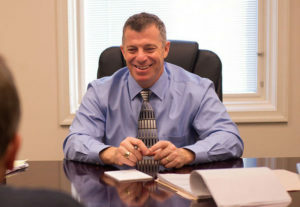 Douglas Farrago MD uses the insights he has learned from twenty years of being a family physician, his vast connection to DPC docs from around the country and his own odyssey into Direct Primary Care that he used to create an incredibly successful practice in the central Virginia area. He teaches you the secrets you need to know to fill your practice as well as laying the groundwork into making your office great so patients are clamoring to get in. Are you ready to break the shackles of employment? Are you ready to be the doctor you always wanted to be? Are you ready to stop coding, stop churning through patients and stop dealing with administrators?